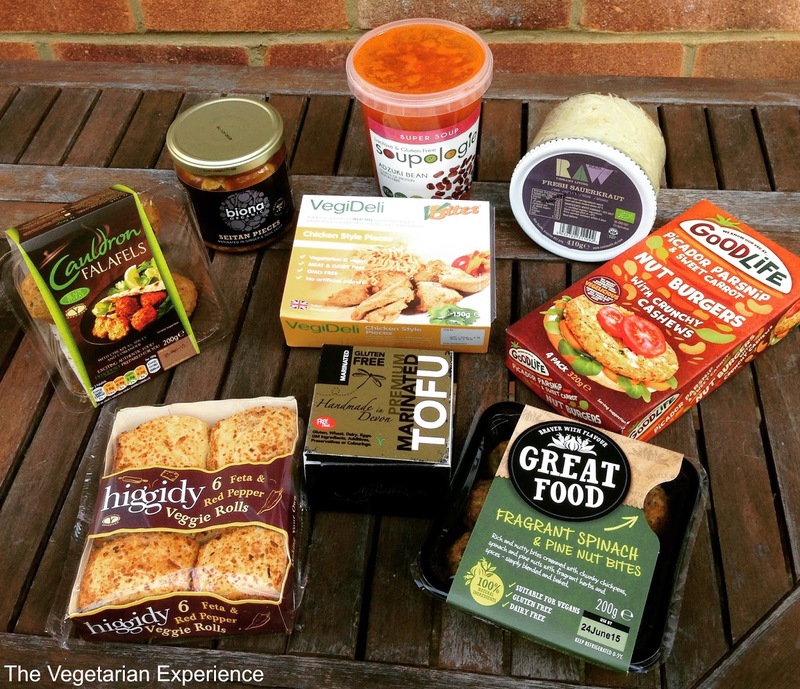 Continuing our National Vegetarian Week theme, today I am featuring some fantastic Vegetarian brands which can be found at Ocado. Did you know that Ocado now has an Ocado Vegetarian shop? I am a regular Ocado customer and I have to admit that even I didn't know that Ocado has a Vegetarian Shop. However, now that I have found it, I am super excited that I did as my online shop has now got even easier because pretty much every Vegetarian product I might want to buy is now all in one place! The new Ocado Vegetarian shop combines a mixture of eating and drinking occasions with specific essentials all in one shop, making it extremely convenient for vegetarians to find exactly what they need in as little time as possible and who has time to spend ages shopping online? Definitely not me! Ocado now had one of the best veggie-friendly ranges available on the market. Whether you follow a completely vegetarian diet, or you are one of the one million people who likes to observe ‘Meat Free Monday’, Ocado has lot of great products to support your dietary choices. At Ocado, I tend to opt for firm favourites such as Quorn, Cauldron and Higgidy. However, there are also some new exciting vegetarian food brands on the market including new-comers La Tua Pasta, Smoke and Pickle and Raw Health. Ocado sent me some products to review including Higgidy Feta and Red Pepper Veggie Rolls, Spinach and Pine nut Bites from Great Food and Goodlife Nut burgers. Alongside these, included some chicken pieces from the veg deli, Soupologie soup and marinated tofu. 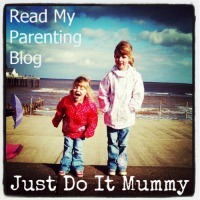 We eat a variety of "convenience" veggie foods *such as quorn cocktail sausages) and meals which I cook from scratch, so it's always good to have a few go to brands for each. Often as vegetarians, the range of foods available can be quite boring and bland, but these interesting and exciting brands just go to prove that being vegetarian is not about eating food which tastes like cardboard as it may have been twenty years ago! 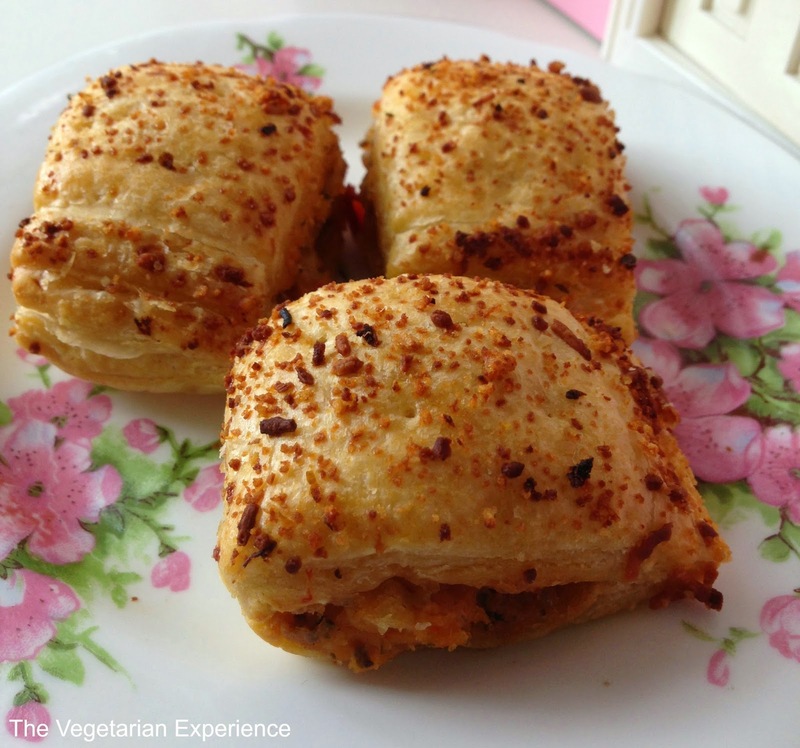 These Feta and Red Pepper veggie rolls were a clear hit with my girls. They actually requested them rather than their usual sausage rolls and wolfed them down. I tried them too and I have to say that they are probably one of the most interesting and delicious veggie products I have ever tasted. Add the white wine sauce and carrots to a slow cooker pot. Fry the onions and mushrooms for around five minutes. Add the Veg Deli Chicken and continue to cook for a further two to three minutes. Drain the oil and transfer the chicken and vegetables to the slow cooker. Cook for around four hours on high, or eight hours on low. Serve with rice, or allow to cool cover in pastry and make into a chicken and vegetable pie! So that is my idea of what to do with one of the ingredients from the Ocado Vegetarian range - what;s yours? Any ideas for the sauerkraut?